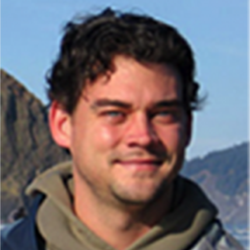 Dr. Joe Needoba, Assistant Professor in the OHSU Institute of Environmental Health and NSF Center for Coastal Margin Observation & Prediction, was recently honored for his teaching excellence in graduate education. 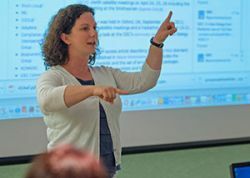 Michelle Maier was recently named a 2015 executive finalist for the Knauss Marine Policy Fellowship sponsored by the National Oceanic and Atmospheric Administration’s (NOAA) National Sea Grant College Program. 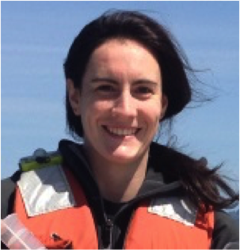 Rachel Golda is a recipient of the EPA Science to Achieve Results (STAR) Fellowship for Graduate Environmental Study. 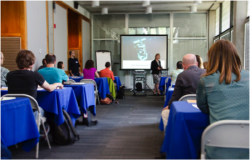 On May 22, 2014 the Center for Coastal Margin Observation & Prediction (CMOP) sponsored the “ESP User Applications & Logistics Workshop” at Oregon Health & Sciences University (OHSU). 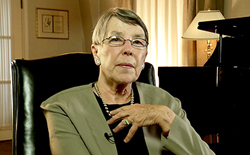 On Thursday, August 7th, the Center for Coastal Margin Observation & Prediction (CMOP) hosted former U.S. Congresswoman Honorable Elizabeth Furse who delivered a seminar, Tribes, Treaties and Natural Resource Management. 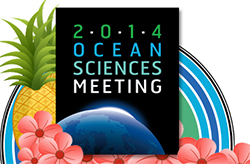 CMOP scientists presented their research findings at the biennial Ocean Sciences Meeting at the Hawaii Convention Center in Honolulu on February 23-28, 2014. 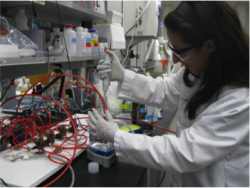 Holly Simon and her team's research article is one of the top 10 most viewed Frontier in Microbiology research articles in 2013. 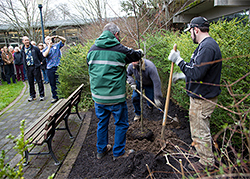 A memorial tree was planted and teaching assistant fund created in memory of Murray Levine at Oregon State University. 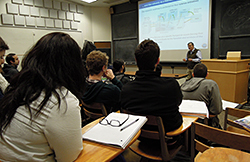 Pacific University and CMOP have partnered to offer a unique approach to providing students with real-world problem solving skills, advanced mathematical and computational training, and undergraduate research experience.